It’s not until we’ve started doing podcasts that I realize how much I actually bring up Metal Gear Solid. Aaand seeing as how I type characters, it was only a matter of time before Snake was here. The real issue when it comes to typing action-oriented characters is finding those that aren’t ISTP or ESTP. ISTPs are good at thinking logically on their toes which is why they get a reputation for keeping a level head. While the ISTJ can prepare for a certain routine and execute with deadly efficiency (Explaining why they make up so much of the military and law enforcement) but it’s the ISTP way of dealing with the unexpected that makes them perfect for jobs like this, in reality and fiction. Since ISTPs have inferior Fe in their functions, it makes sense why Snake has a hard time trusting others or opening up to anybody. Partly because of the career he’s in, partly because he’s been lied to by the only people he knows about pretty severe things (Who his family is, who the people he’s been hired to kill really are, the fact that he’s a FREAKING CLONE, etc.) and the fact that he’s just not good with his emotions anyway. See? Total unresolved issues, that’s what this is. Then again, you’ve got to look at his family. Often times, we see the powerful combination of Ti and Se take place as Snake’s quick thinking and nearly-as-quick reflexes take over. Sure, he’s got genetics on his side, being cloned from the ultimate soldier but if you were to make one of those little suckers, the mindset of an ISTP may be the most preferable. The only times it seems Snake ever bothers talking about himself is downplaying his “legend.” Why? Because he’s not the big-picture type of person that intuitives are, looking for the man behind the curtain; but because he knows he was created to kill. He was made to take out those that would threaten his creators. He knows that it’s too late to take back anything he’s done and he’s the type to question directly offensive orders but not much more than that. Sure, Snake is fairly deep as a dominant Ti person would be, but it’s all kept in the realm of practicality- nothing that’s said is something that couldn’t be understood by somebody with the patience to listen for a few seconds. He even takes his inevitable death in stride. Knowing he only has a few more months to live, he’s surprised to find out that his partner, Otacon, still wants to tag along in Snake’s final days. Who wouldn’t want a friend? 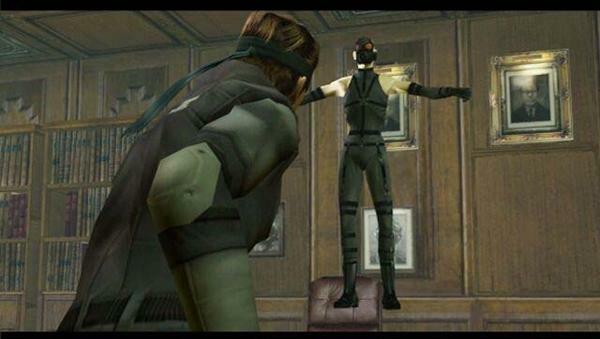 But to Snake, he can’t help but think he’ll just be a depressing mess. See what happens when you have only months to live? You…experiment. For all of Snake’s good qualities as an agent though, there are certain things you just can’t avoid when dealing with an ISTP. Though their dominant function is Ti which wouldn’t dictate intelligence but would dictate what the user places importance on…all of this to say that ISTPs ain’t always the brightest in the bunch. Balanced, yes, but with a slight hindrance when it comes to things that don’t involve using your blood soaked, calloused hands. How would this affect Snake? Was there a single game where he wasn’t manipulated throughout the majority of it? The biggest blows may have come through Metal Gear Solid where we progressively learn throughout that the guy we’re playing as doesn’t know what the hell he’s doing there. The reason for this may be their lack of foresight due to their need for the immediate. Looking for the next rush of a physical act or even just an argument, they forgo any thought of consequences and jump into what’s exciting now. Now Big Boss’ type? I leave that up in the air for now. 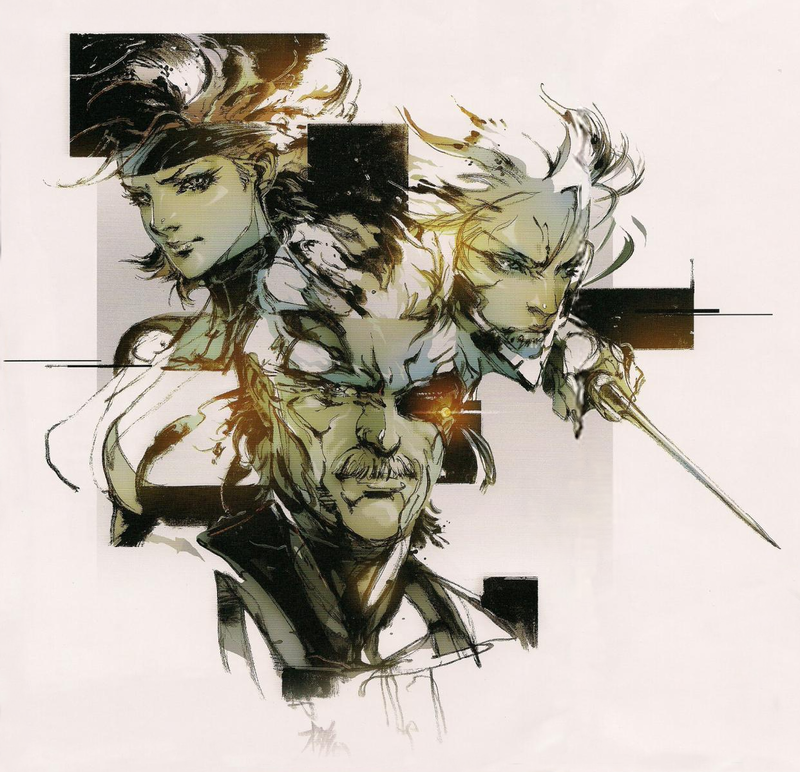 This entry was posted on 04/09/2014 at 1:07 am and is filed under MBTI Artisans, MBTI Stuff with tags istp, mbti in fiction, metal gear solid, solid snake. You can follow any responses to this entry through the RSS 2.0 feed. You can leave a response, or trackback from your own site. Have any thoughts on what you would type Frank Jaeger (Gray Fox) as? Heh, tough to say since most of the time we’re seeing him, he’s a brain-damaged PTSD-suffering cyborg. But it’s also possible for him to be ISTP. They’re everywhere! But that’s not an official answer, just an educated guess. I actually was thinking the same thing too and wanted a second opinion on the matter. I had completely forgot to taken into account his PTSD though. He was occasionally placed in a fluid-filled sensory deprivation tank which would reset his memories, and suppress his emotions from what I have read. More than likely making it much more difficult to tell. A couple more video characters that might be ISTP. For Agent 47 (My MAN!) and Sam Fischer I can give a definite “Yes!” to. To Redfield and Jenson, I’ll say “Probably.” There are so many ISTPs in throughout the action genre, it begins to feel repetitive to type them. But alas! There are too many great characters with this type. Agent 47 is really hard to type because he is a genetically enhanced clone with genes deriving from the Hitman Universe’s world of Criminal Masterminds and Scientists. So in light with that he is most probably a lot of personality types, synthesized into one type. I think the fairest way to make sense of this is to choose a primary and secondary type which would be ISTP and INTJ. But all in all, he really is a lot put in one, and I do not think the mbti system may work since the variables are just too different. Don’t think Jung or the creators of mbti had an individual like this in their minds eheh, however if you add them up you do get an interesting perspective. One other theory may be, that he is an advanced INTJ or ISTP who uses all the functions perfectly, but then he wouldn’t be an INTJ or ISTP in the first place, he would just be the cognitive functions afloat. He is described to be quite introverted though, and if he uses all the functions perfectly, how come he isn’t typed as an extrovert? In the Hitman: Contracts cutscenes for instance, he seems to have some vision-like happenings substituting real-life, devoid of non-linear canons explaining details from within, that would make us understand how he got there or how he got to the next point which maybe subtly, but surely says Ni to me personally. Damn this commenting system! You’re gonna have to copy and paste to see what I’m writing. But you bring up a good point with 47. Seems like a good “Can He be Typed” post. ISTP and INTJ seem like the best fits for him, with ISTP being show in his preference for improvising as Ti/Se users do but his INTJ-like traits can be seen in his overall schemes and ways of thinking several steps ahead. Heck, maybe he’s ISTJ and he’s just so superior to any human that using the usual typing techniques can’t be used. All he knows is killing and if he was created to do only that then everything could be a product of extremely varied Si. Great topic, no definite answer from me. Nice article! Just a heads up you made a big mistake; at the end you posted a link named ”Big Boss- INFJ” when you meant ”The Boss- INFJ”. And about Big Boss; why don’t you do a page on him haha. Surely INTJ? Bang! You got me. Thanks for reading, I’ve fixed my mistake.